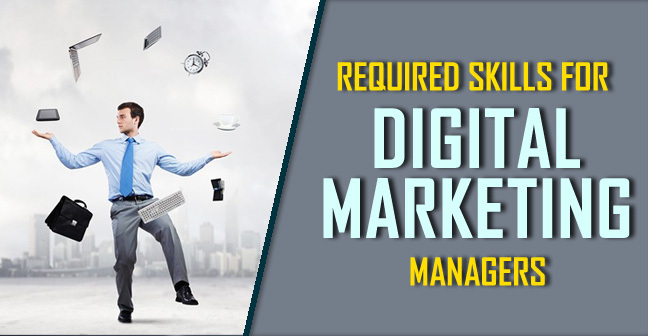 Know the required skills for digital marketing managers and train yourself to work in this ever-growing field. Just like any traditional marketing job, a digital marketer or digital marketing specialist has the same goal i.e. The only difference is the medium and the platform. All the marketers no matter what medium there are working on have the innate knowledge of the consumer behavior and the buying cycle. The Internet has changed consumer behavior drastically, therefore, a digital marketing specialist of a digital marketing agency is expected to have the following skills. Well, there are subdomains and different areas of digital marketing and the digital marketing manager have to coordinate work with all of them. Therefore a digital marketing specialist must have diverse skill sets. There are few skills without which that a digital marketing specialist cannot function successfully. What are those? Let’s find out. Marketing is a foundation no matter what platform you work on. Any marketer with an experience has this developed marketing intuition which helps him to understand the market, latest trends as we just mentioned above. You cannot expect what worked a year ago would give the similar results again. In the world of internet, things change so fast that any small thing can make or break your brand. And this leads to our another point, an intelligent marketer has the thorough understanding of his product and makes sure what is he selling and to whom? This is the beauty of a digital marketing that it allows you to express your creativity which is an essential aspect. Digital media has the foundation laid on the crisp, appropriate and accurate copy which is based on the fact “nobody knows and nobody cares”. A digital marketing specialist must be able to have the creative vision how would his campaign look like. What else could be done to make it more click-worthy, readable, understandable, catchy, attractive as coherent with the intent and goal of the whole campaign. Good Communication is a must skill for a digital marketing manager. By now you must be aware of all the verticals of the digital marketing. 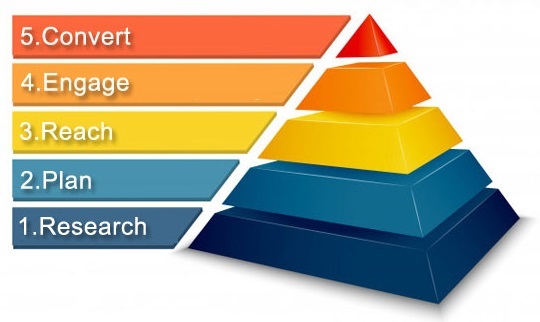 A digital marketing is expected to have expertise at least in one domain and have fair knowledge in other domains too which are SEO, PPC, SMM, Data Analysis, Content Marketing and Email marketing. If Statistics is to be believed, social media users will grow up to 258.27 million in the year of 2019. Therefore out of all the domains having an in-depth knowledge of PPC and paid social media marketing is in high demand in the industry. He must know and must be aware of social media platforms like facebook, use measurement tools(eg. Facebook insights), must be able to create custom audiences etc. You cannot afford to shoot in the dark, there has to be a concrete plan according to which rest of the work should be planned out. The purpose of the marketing strategy is to give the structure and flow, an effective strategy brings far better result then just working on different platforms individually. A digital marketing specialist must be able to form the integrated strategy based on the research and information, prioritize actions and channels required. Anyone who wants to become a digital marketing specialist cannot survive without analytical mind and expertise on tools for the same. Having done your thorough research done is a half battle won. Digital platforms give you the total control over everything. Proper understanding and analysis of strategies is a key skill required for digital marketing managers. As per the recent study published in IndianExpress, India set to have 530 million smartphone users in 2018. All of this point towards the necessity of having the digital campaign designed and planned to keep in the mind where your audience is. Digital marketing specialist must be able to get the mobile responsive website and pages, email and all the creative content running the campaign, customize database, can do A/B testing. Other than these must-haves, an effective and efficient digital marketing specialist must be able to coordinate with all the department and get the work done on time. Digital world moves with the great velocity, hence it’s a necessity of a digital marketing marketer to stay updated with the trends and changes e.g. Google updates and changes in algorithms. Creativity is back up by the technical skills in the digital marketing, tools and software used in domains like SEO, email marketing(eg. MailChimp, Aweber), Social Media, Google AdWords, data mining, and analysis. Stay tuned for such informational content and subscribe us for the newsletter to stay updated!